The BCI Academy was abuzz with excitement yesterday as it was the first day of school and the school compound was overflowing with students, parents, teachers, missionaries, and BCI employees. The students were excited to see their friends and favorite teachers again but everyone was excited to see the changes to BCI Academy. The start of the new school year saw many changes for The BCI Academy. Last year, the academy had grades 1-7 and this year now has grades preschool-8. This is a fabulous addition to the academy as our smallest children can now start learning at the same school that they will attend for many years to come. In previous years, the younger children had to attend preschool and kindergarten at another school and then switch to BCI for grade 1. Now they are able to start at one school and continue at the same school. Also, last years grade 7 students are able to continue at The BCI Academy for one more year. The third and final phase of The BCI Academy construction is nearly finished. This final phase provides the academy with a new lunchroom, a science lab, a few offices, and four new classrooms! The last year of construction surely paid off as now BCI Academy is able to accommodate more students. The number of students at The BCI Academy went from 180 to 280 in one year, thanks to the addition of Phase III. While all of this sounds exciting, it is to be expected that some of the children were apprehensive about this new year. All around the school compound, children were clinging to their parents but when the bell rang they ran happily off to their classrooms, except for a few of our smallest children. 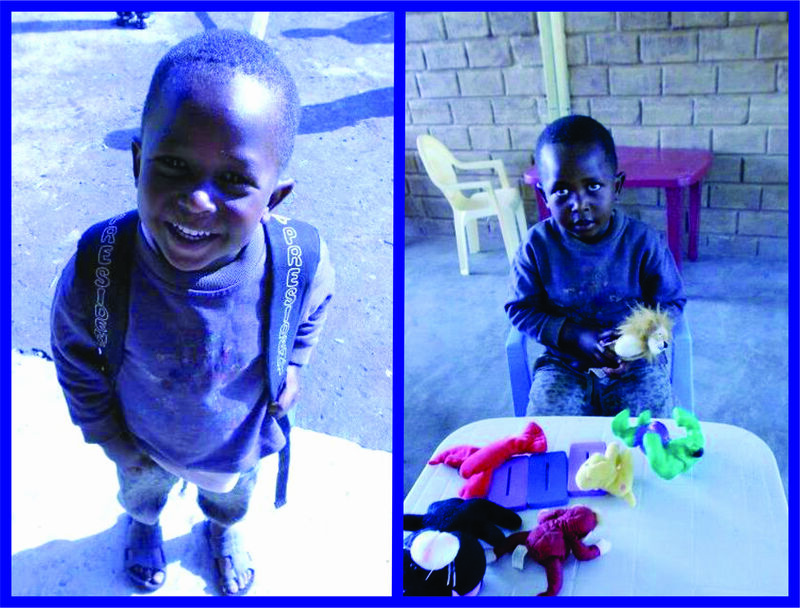 The first day of school was a day of stress for some of our youngest, first-time students. A few of the preschoolers were unsure why they were at this big place and got really upset when they saw their parents leaving. But the BCI teachers stepped up and gently explained to the children that they were going to stay here during the day to learn and play with their new friends. 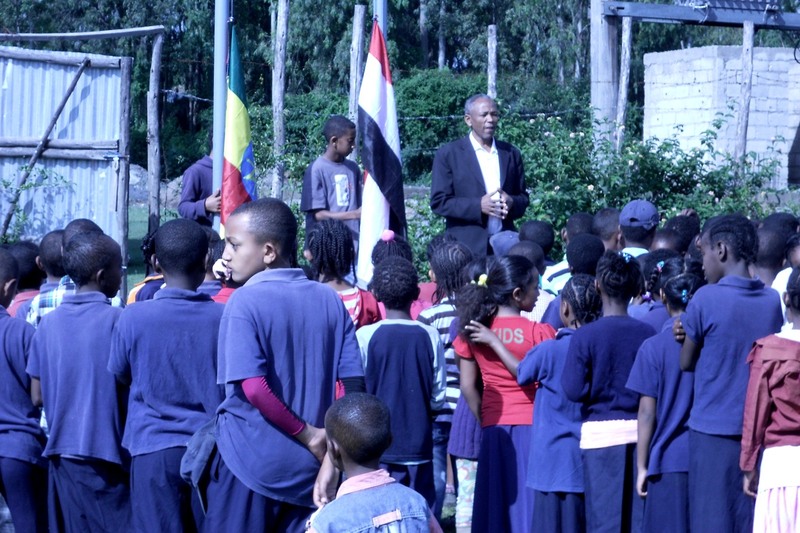 The day started with announcements from Principal Mulugeta then the children sang their national and regional anthems and raised the flags. The start of a new school year is always filled with excitement and anticipation for the year ahead. We wish all of the children a great and successful school year. Principal Mulugeta welcoming the students on their first day. 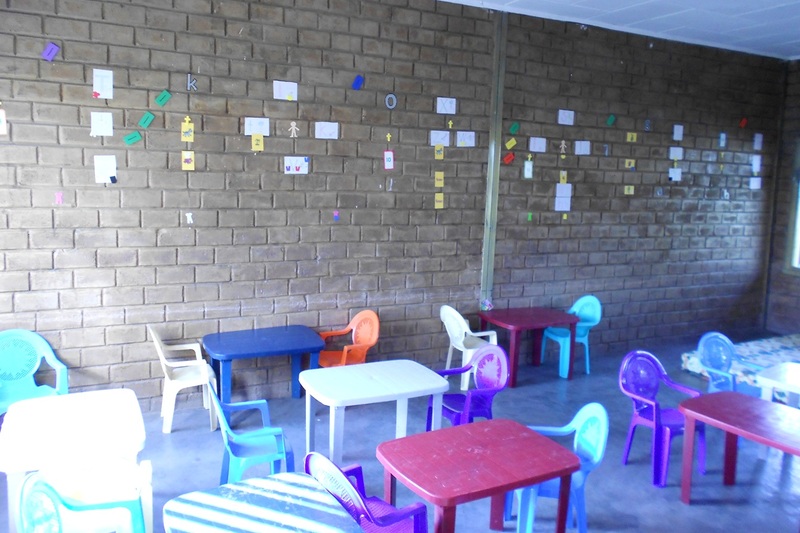 The BCI Academy’s new preschool classroom. The BCI Academy bus making its rounds. First day of preschool for this little guy! Let there be light :: A PRAISE REPORT! 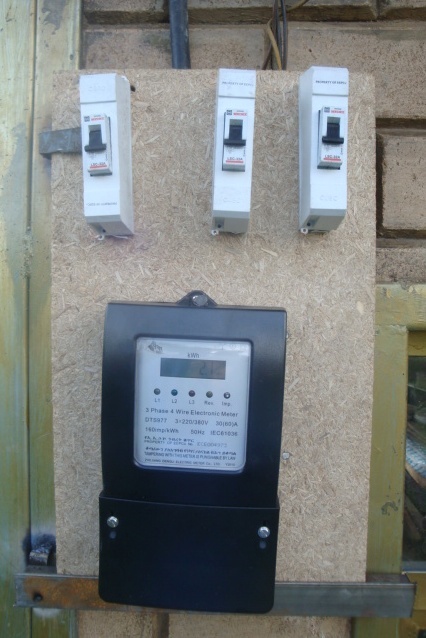 The BCI Academy has electricity! 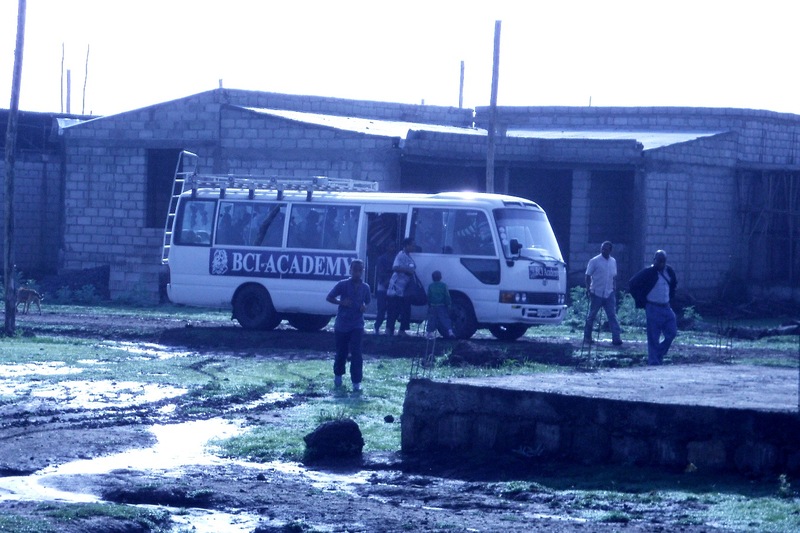 Since finding out in May of last year (2011) that the city of Debre Zeyit was making electricity available to our area of town, it has been a long, bumpy road to make this dream a reality for The BCI Academy. There have been struggles and setbacks with unforeseen costs, acquiring necessary equipment, waiting for the city, etc. but we serve an awesome God! He works all things together for our good – as He has shown us, time and time again. We are so excited for the electricity so we can begin utilizing the school to its full potential by holding night classes and evening outreaches. The electricity will also improve our strides towards excellence in allowing us to use the new computers, photocopiers and other energy powered devices that were attained by a generous grant through our Canadian office. We continue to praise God for providing our needs and thank all of the Lord’s generous hands and feet who have helped make this possible!